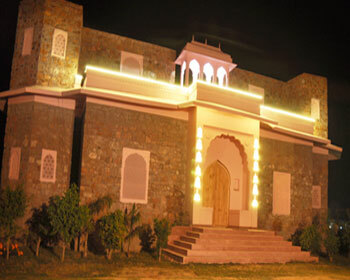 Sultan Bagh Ranthambore is a three star hotel that is situated 3.5 Km away from the Ranthambore National Park. 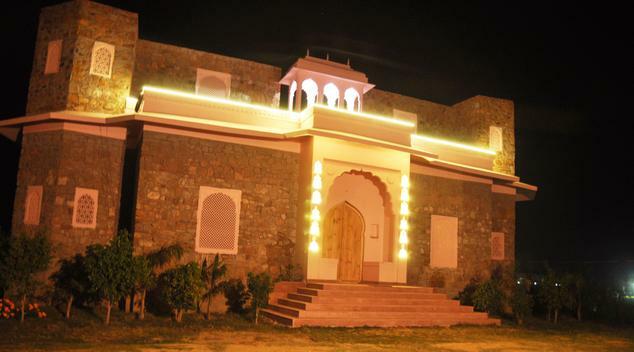 This hotel is constructed in the memory of Thakur Sultan Singhji of Thikana Padampura by his Son. 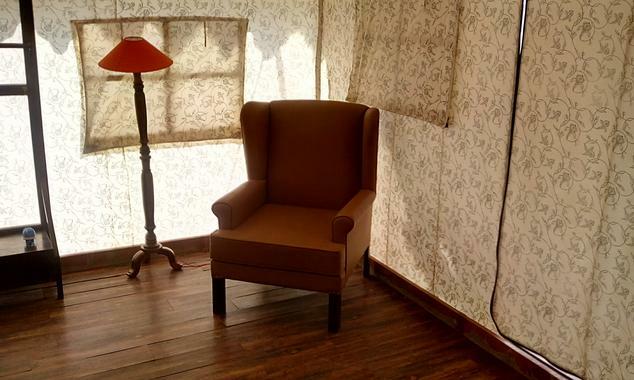 It is constructed in the form of a tent where Thakur Sultan Singhji used to spend his time observing the wildlife. 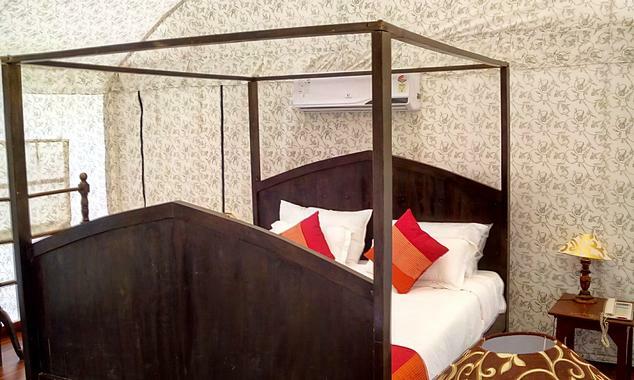 To give the guests, the same feeling here all the rooms are made in the form of tent and the hotel was named after the Thakur Sultan Singhji. 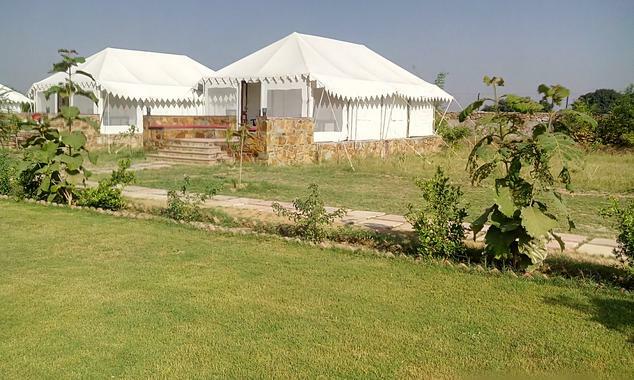 Apart from the 10 luxurious tents, a building is also there which consists of reception, spa, swimming pool, lobby, massage, kitchen and swimming pool. The bonfire is also arranged during winters. 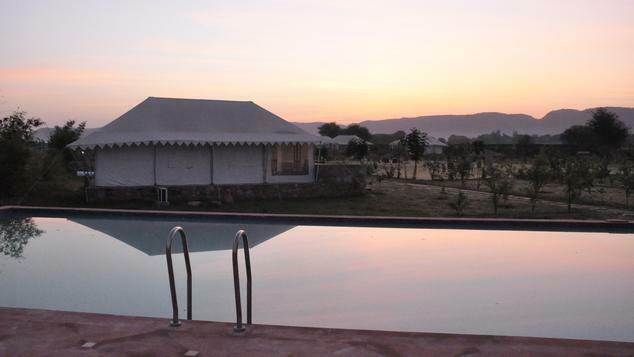 There are two kinds of accommodation available for the guests namely Maharaja Villas and Rajwada Tents. To serve the guests, the hotel has a multi-cuisine restaurant. 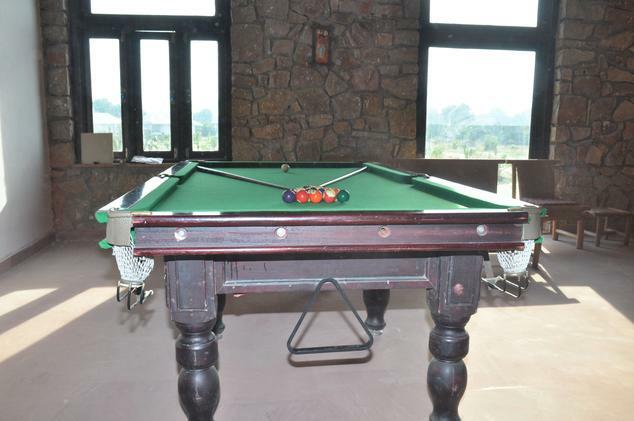 The hotel also has facilities for indoor games, kids playground, outdoor games and also arranges for jungle safaris, horse riding, camel riding, sightseeing trips, Rajasthani cultural programs (on request). This hotel is ideal for leisure traveler. 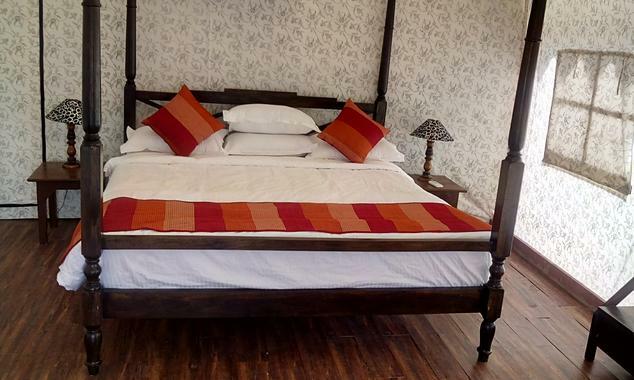 The double occupancy villas are quite spacious, well adorned, well furnished, luxurious and are mounted in such a way to blend with the nature. 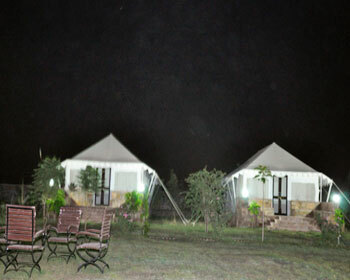 The villas are also provided with amenities like welcome drink (non-alcoholic), inter leading as well as shared veranda chalets which comes with mosquito nets, air conditioner, in room safe, 24 hrs room service, attached bathroom with shower cubicle/bath tub, 24 hrs hot/cold water, tea cattle, mini bar, 24 hrs power cattle, telephone with STD/ISD, Television with satellite/cable connection, safe deposit lockers, parking, doctor on call, tea/coffee maker, hair dryer, etc. 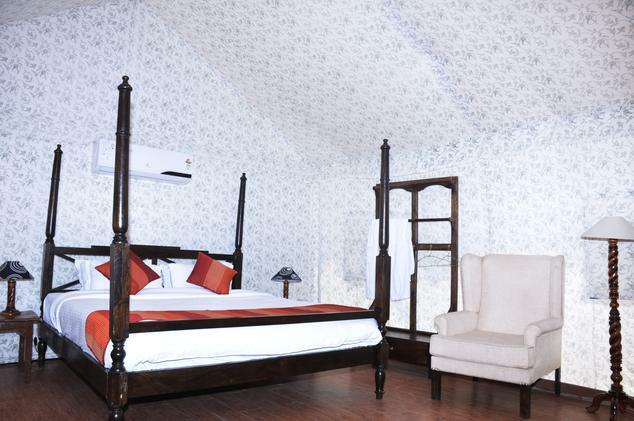 These rooms are ideal for those who want to stay in luxurious as well as natural surroundings. 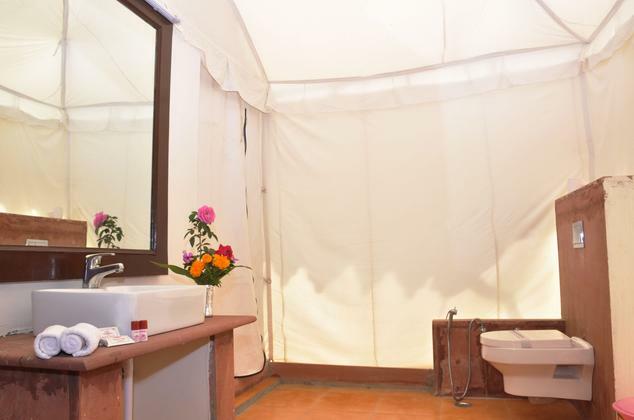 These are standard and luxurious tents situated in the natural surroundings and provide the feel of the jungle. These are also large and spacious and are ideal for those who look for a good accommodation in natural environment. 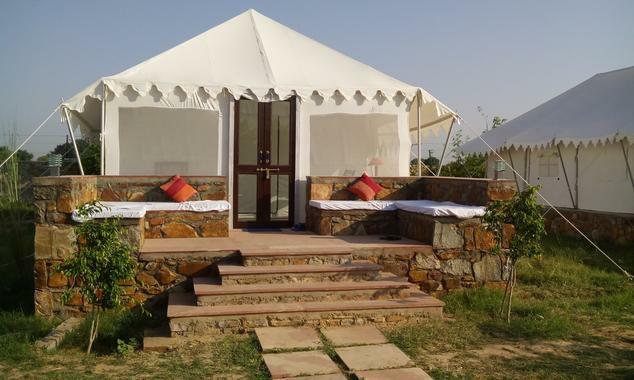 Further, these tents come with amenities like inter leading as well as shared veranda chalets which comes with mosquito nets, welcome drink (non-alcoholic), air conditioner, 24 hrs room service, in room safe, attached bathroom with shower cubicle/bath tub, tea cattle, 24 hrs hot/cold water, 24 hrs power cattle, Television with satellite/cable connection, hair dryer, telephone with STD/ISD, parking, safe deposit lockers, tea/coffee maker, doctor on call and much more amenities to facilitate the stay of the guests. The 24 hrs on-site multi-cuisine restaurant serves delectable Indian, Chinese and Continental cuisine. Also, do not forget to taste the local Rajasthani delicacies. All the food is prepared in a hygienic environment and is also delicious and sumptuous and will be a feast to your palate. The restaurant also offers in room dining as well as dine in facilities. 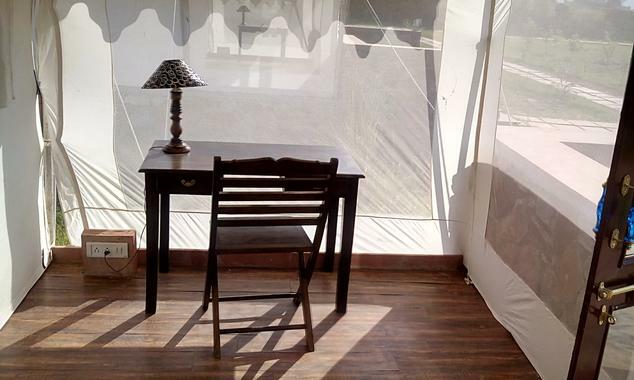 It is also opened to outside guests.